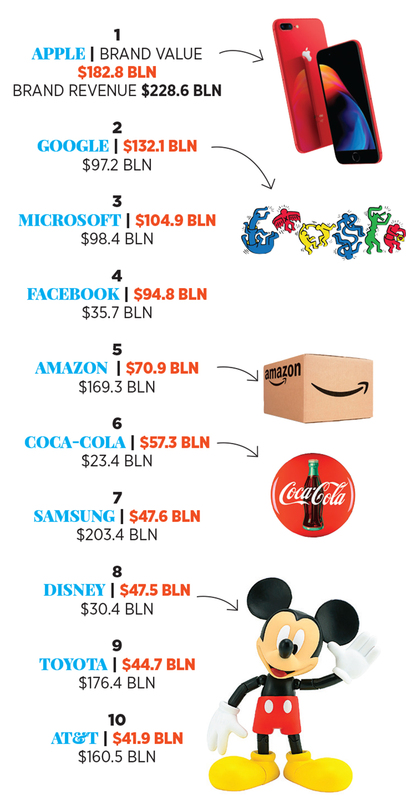 Tech giants dominate our annual ranking; Apple is No 1 for the eighth straight year. To compile the list, we look at three years’ earnings, and the role branding plays in an industry. See full list on forbes.com/valuable-brands.